Globe Telecom also cancels its participation to the annual LaBoracay fest held during the Labor Day weekend. This also aligns to the government's decision to close down the country's famous tourist destination for six months, which begins on April 26, 2018. "We continue our commitment to the sustainability principle of care for environment. Globe is one with the government in its commitment for environmental protection and preservation of prime tourism destinations, such as Boracay, for a more sustainable economic growth and development," said Yoly Crisanto, VSP for Corporate Communications and Chief Sustainability Officer. With the environmental concerns that Boracay is now facing, Globe is looking at ways on how it can contribute to sustainable tourism awareness and marine life conservation, and coordinating with the Department of Environmental and Natural Resources (DENR), local government units (LGUs), and Non-government ogranizations (NGOs). 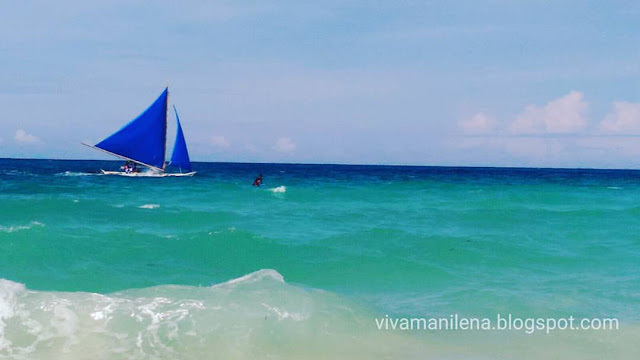 "Though our LaBoracay participation is a long-awaited summer event, we understand the need for sensitivity to the island's biodiversity problems. In lieu of the usual parties and celebrations, we are moving towards a more purposeful program aimed to improve Boracay's environmental situation," added Issa Cabreira, SVP for Consumer Mobile Marketing. Aside from spearheading a sustainability program to rehabilitate Boracay, Globe Telecom has been actively participating and contributing to various environmental programs since 2012. This includes: marine life protection, off-shore clean-up training, and raising environmental awareness especially with local residents and the youth. It also spearheaded a volunteer beach clean-up, coral planting, and reef rehabilitation during last year's LaBoracay celebration.